Our banner walls are lightweight and portable. 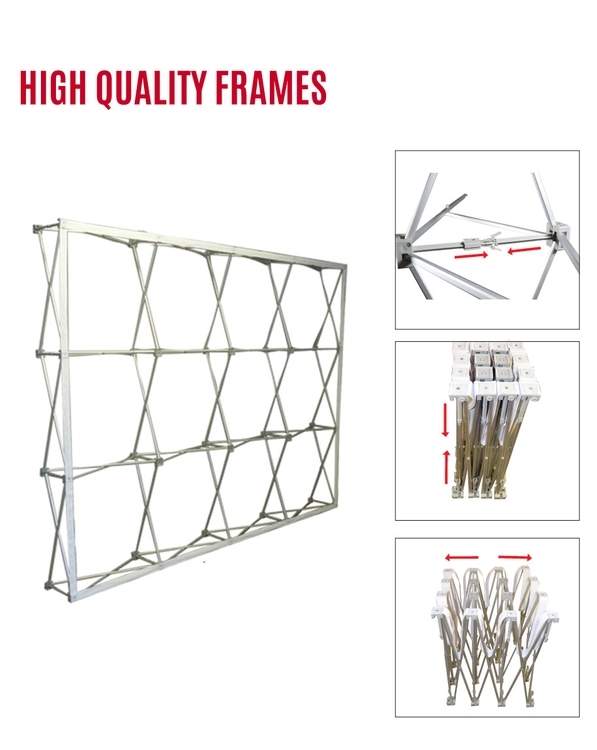 Manufactured out of premium grade aluminum makes these trade show displays strong and durable. 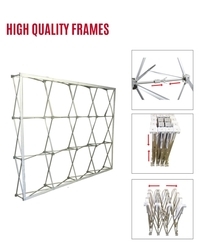 These displays collapse and are easily stored in a custom carry bag. 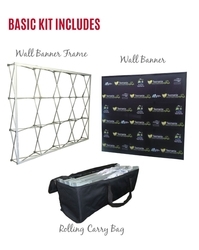 The Backdrop (Banner) wraps around both sides of the frame and is attached with continuous wide strips of matching Velcro to make set up easy. 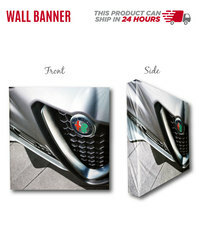 These trade show walls are available in 2 sizes 8 x 8ft and 8 x 10ft.